I recently started my bullet journal addiction and I honestly love it. I had stumbled across an article a couple of months ago, and kept it on a tab on my iPad. Some time went by and about a month ago I decided it was time to read said article (which is now unfortunately long gone so I have no idea who to thank). Since then I have been doing tons for research, and I have found so many helpful places, such as Boho Berry and the Bullet Journal Junkies Facebook Group. 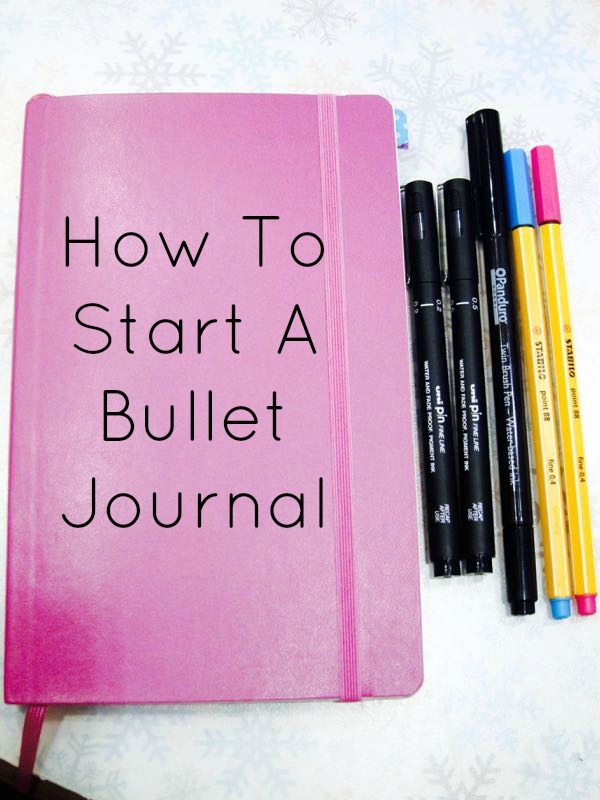 So first of all, what is a bullet journal? 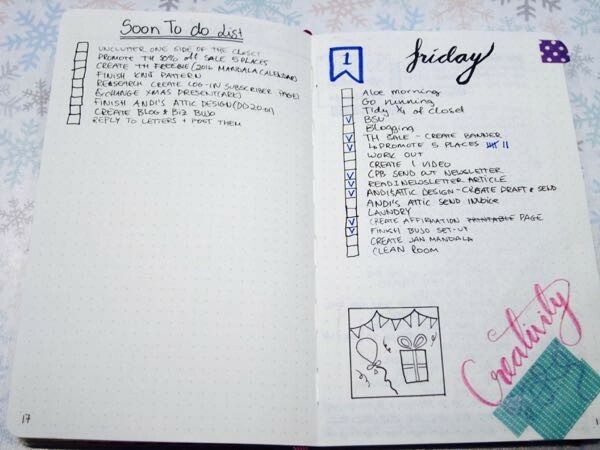 A bullet journal for me is basically a place where I keep everything I usually write down on scrap pieces of paper, post it notes, ideas in my head and so on. I know there is a lot of controversy due to the fact The Original Bullet Journal is quite different from some of the more artistic pages. For example I do not use the same monthly calendar as in the original, which I could have done, but it just would not have worked for me. And that is what my opinion of the bullet journal is: you tweak it until you get something that works perfectly for you so you can be the best version of yourself. 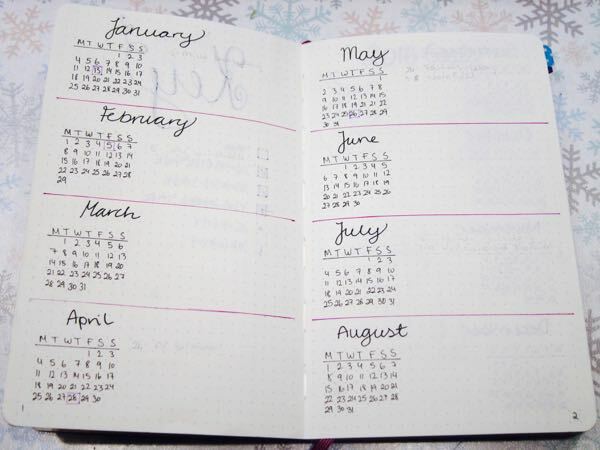 Today I wanted to show you how I set up my Bullet Journal and how I set up my first month. 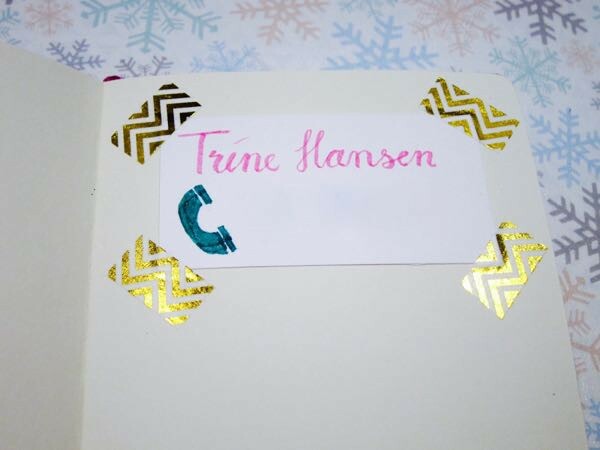 This is the first page in my journal, it has my name and phone number in case I lose it. I do want to do something more in the future to make it a bit more pretty, but I have not decided yet if I should do a pretty quote, draw a mandala or print out a picture to stick in. The first three pages are my index. This is where I write down all my collections and so on. It is still quite short because well I have been using it only for a few days. I know a lot of people have the index in the back – just because they do not know how many pages to save. 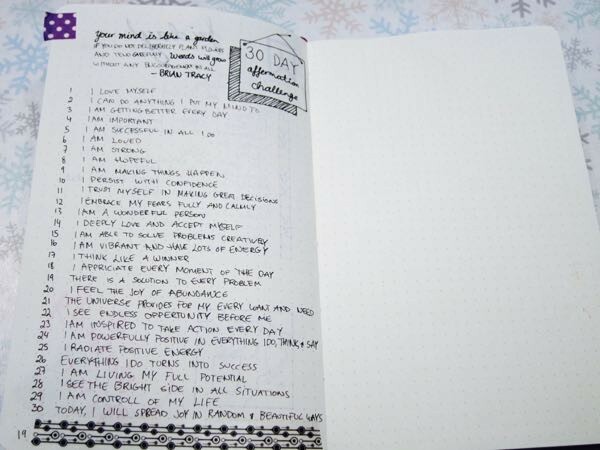 And please note, this is the only space in your journal where you leave blank pages. So here I have the page number and topic. Personally I do not index my daily pages, but if you do I would recommend more than three index pages. So on my next page spread I have a blank page and a key. The blank page will be my “just-in-case” index page. I create something on a separate piece of paper and washi tape it to the page. That way I can remove it in case I need more space for my index. My key is very simple. Again here you really need to find whats best for you. I love ticking stuff off so that’s a no-brainer for me. I know some people colour it in. Some use circles instead of boxes. Just do whats best for you, because this is what you will be doing in your entire journal. The nest three pages include year-at-a-glance. I have a mini calendar where I write down important events such as birthdays, holidays, etc. 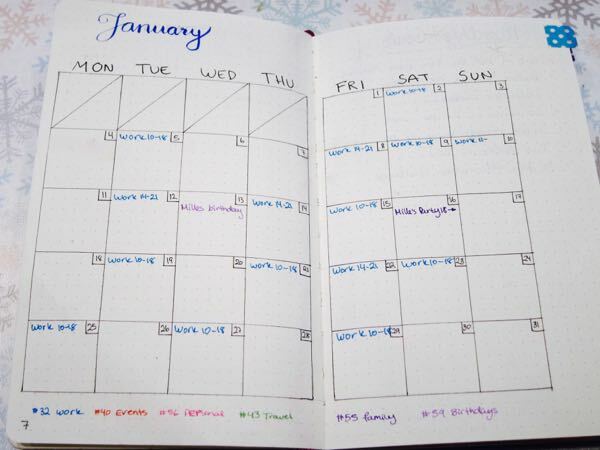 I don’t have space for the colour codes, but its the same as my monthly calendar. Red: events, green: travel, light purple: birthdays. 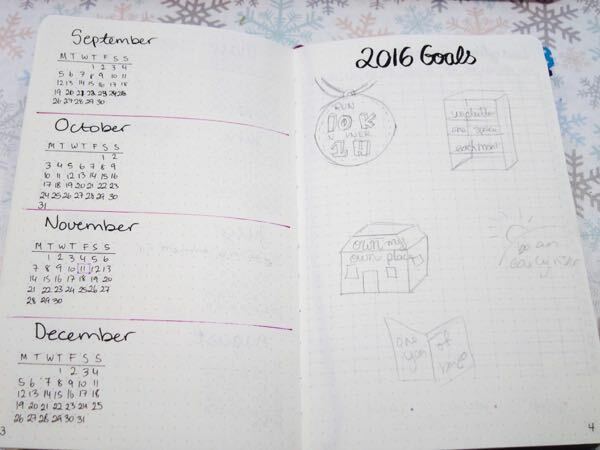 Then is my 2016 goals page. Which I know what my goals are, I am just not quite sure how to enter it yet because I don’t really want a regular list, I want to make something more out of it. I did this sketch, which I am not pleased with either, so we shall see. My final page for my set-up is my ladytime tracker. I will colour in light or medium red for when it is my time and probably lines over the days where I have bad cramps. On the next page I am adding some doodles, quote or a mandala. So that was it for my basic set-up. Now my monthly set-up starts. So the first thing here is a two page traditional calendar which is colour coded. I have always loved this calendar set-up. But if you want to check out other types you can see what Kara from Boho Berry does. 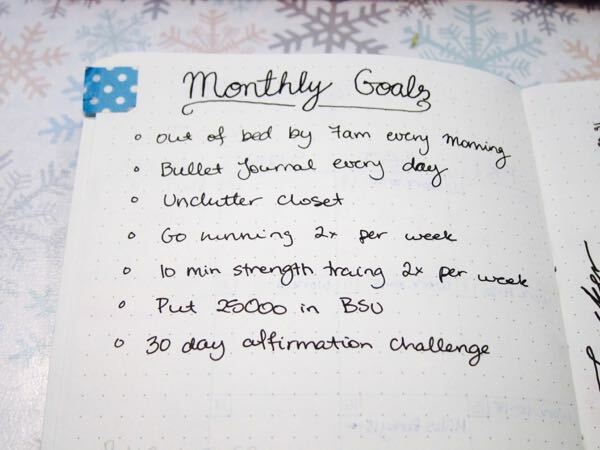 Next page is my monthly goals. And then my tracker. I got this idea from Kara (Boho Berry) and I love not having to write the same think every single day. Plus it adds a little colour. I took these images on the first, so it’s not really filled in properly yet. Next I have the Instagram Challenges I participate in. Used washi tape to stick these in. 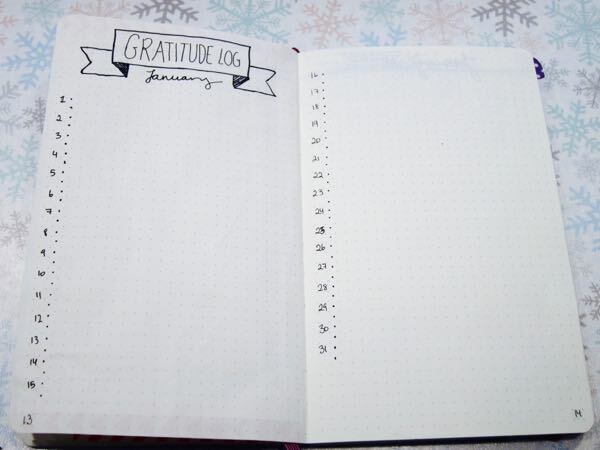 I also have a gratitude log. I have never had that before so I am quite interested in how it will work for me. Until now I have found it quite awkward to write in, but I hope it will get easier. I have two each day and I might add a quote or something at the bottom. Memories and waiting on are two pages I am kinda not really digging. I thought it would be a good idea, but I am not sure yet. Maybe I will get a use for them during the month, is not I will just skip them in February. That was it for my monthly set-up and now starts the daily pages. So my biggest concern was how to do my daily to do list. Previously I have planned up to a week in the future, but here I wanted to take one day at a time. So what should I do with items I know I needed to do, but not the same day. Then a lightbulb lit up and my “soon to do list” was born. This is everything that needs to be done in the next week or so. So far I am really digging this, because I get to do one day at I time. My days are quite simple, my to do list, a box for my doodle challenge and my brush letter challenge. I was unsure about having it all on one page, but I honestly really like it. My first collection! 30 day affirmation challenge by Brian Tracy. That is it for my bullet journal so far. I hope you enjoyed it. I post a lot on Instagram, so you can follow me there for more bullet journaling. 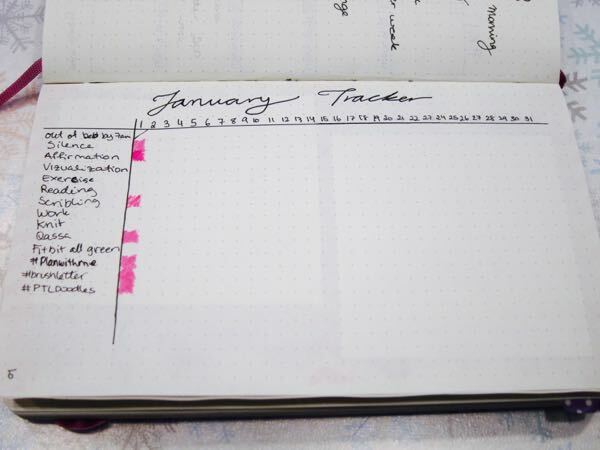 Let me know in the comments how you feel about bullet journaling, what journaling system you use or if you have any questions. I found your post on Pinterest and this sounds like something I would like to do. However, I don’t know how to get started fully. I got a grid paper composition notebook to start off with, but I’ve noticed that everyone seems to use small notebooks. Should I switch to a smaller notebook? Hey Samantha! The notebook I use for my personal life is the Moleskine Large, which is slightly smaller than A5. The reason I choose this is because it is a size I really like as well as it being portable. However for my blog and business BuJo the A5 is just too small, so I am planning to get an A4 sized notebook. This is something that will stay mostly as home, so it will be amazing with a bigger size. 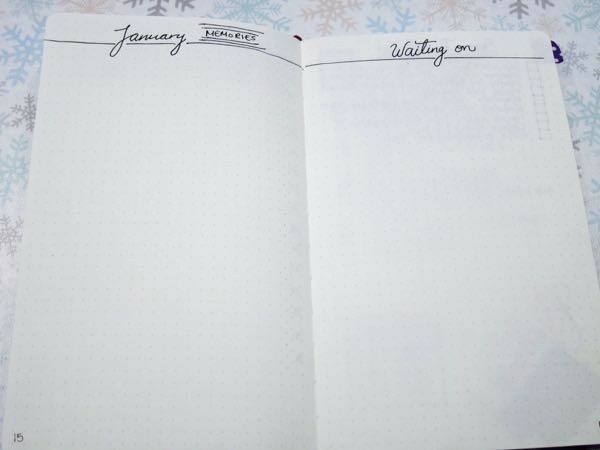 The one thing I love about the bullet journal is that it is so customisable. You should use what ever you are comfortable with. You could always try to start with your notebook, and if you think the size is not right for you, you can just change it later on. I use the same notebook! I was having a hard time finding the perfect pens and I started using Sharpie pens. I love them! This is a great article! Keep it up! im so excited to start my own! But, i was wondering, can your just use a grid book like kids use at school? i don’t really want to buy a journal if i can get a notebook for $1… Great article. Michael’s Craft Store sell all types of journals. They have different colors, journals with quotes, journals with blank, lined, dotted and grafted pages. The sizes 6 x8 inches all for $5. There are larger ones too. The journals are hard back covers. If you dont have a Michaels store near you, you could Google them to find them online. I like yours a lot better than the other ones I have seen! 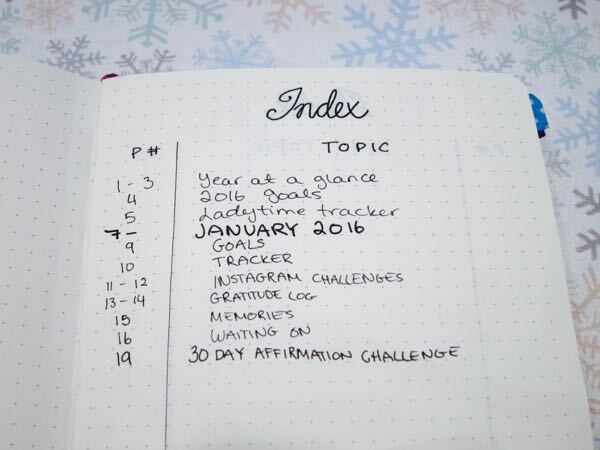 This blog post makes the idea of bullet journaling a lot more appealing! Although, I feel like I would get very overwhelmed and in the mean time, I am sticking to my Erin Condren. I love this! You should look at Amy tangerines calendar stamps! But this is so inspiring and simple. Your post is the first time i have seen a ladytime tracker. I am so thankful. I wanted to keep track of those symptoms too, but wasn’t sure how to lay it out. I will give your layout a try. I love my ladytime tracker. I have also used it to track when my dog is in heat. I personally love the dotted Moleskine. However the beauty of this system is that you can use whatever you prefer. If you like spiral, then for it. 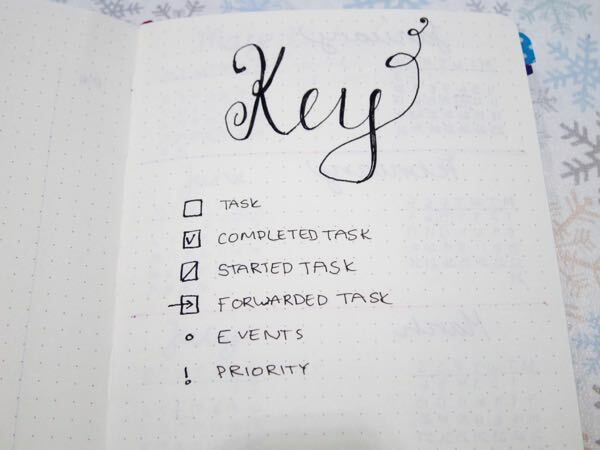 The only thing I recommend is using a “blank” notebook – only lines / dotted /grid. So no dates etc. I like different notebook..Maybe I will do it. This is great! Your blog is great! I’ve kept a diary for very many years, and more recently, a journal also. Now I have dozens. What do you do with them. Anyone else with the same problem. I can’t bear to throw them out, but I don’t think my daughter will thank me if she has to do just that. In addition, I have my mother in law’s diaries which she started to keep not long after I got married. I haven’t read them. What to do ??? Read your mother in law’s journal together with the family. You could take turns reading a few days at a time. But whatever you do, don’t throw them out! Find a pretty boxes to keep both hers and yours. Tie them with pretty ribbon by the decade. Use them as bases to display photographs of you matching the years of the journals. I have a few of those around the house, even in the guestroom. Please, for the love of God, do NOT throw those valuable historical documents away! Someday, provided they are preserved, historians will read our journals and diaries and planners and gain valuable insights int o our world. Thank you for providing the affirmation source. I’m up for the challenge, starting tomorrow! Hi,first of all thanx for the ideas.I am just getting started with an bujo and found your post on Pinterest.I am probably one of the few guys with an bujo 🙂 So with your examples i know how to start.Greetings from Belgium. Lots of ideas I love. My journal will be a book of a different color. I am post menopausal & retired so my lists are quite simple. I have tried journaling before but always got bored and quit. With my bullet journal I can keep track of keep track easily. I don’t need to go thru all kinds of pages to find what I am tracking. I am using an A5 size loose leaf binder. My anxiety level went way down concerning my journal. If my lists or ?take more room than anticipated It’s so easy to add another page. Another component that has helped me ..’a sub-index. At the front of my journal is my main index then at the start of each topic is a sub index. No more losing things. I love my BuJo!!!!! And I always love seeing what other people do with theirs. 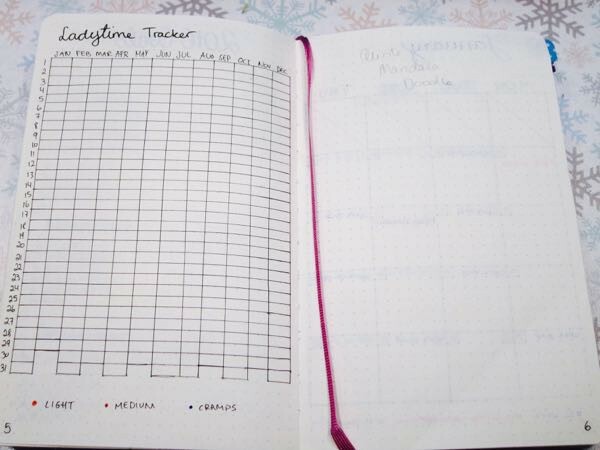 I never thought to have a ladytime tracker but what a great idea! 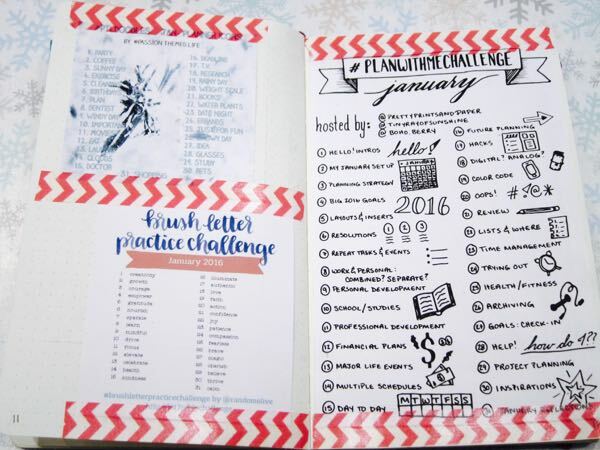 I really like your Instagram challenge page – it looks great!